I've never been one for embroidery, but over the last couple of weeks I felt like I needed to do something creative, and sewing wasn't going to cut it (something about being pregnant and uncomfortable and in love with the couch... and my sewing room being too messy to inspire any creativity). 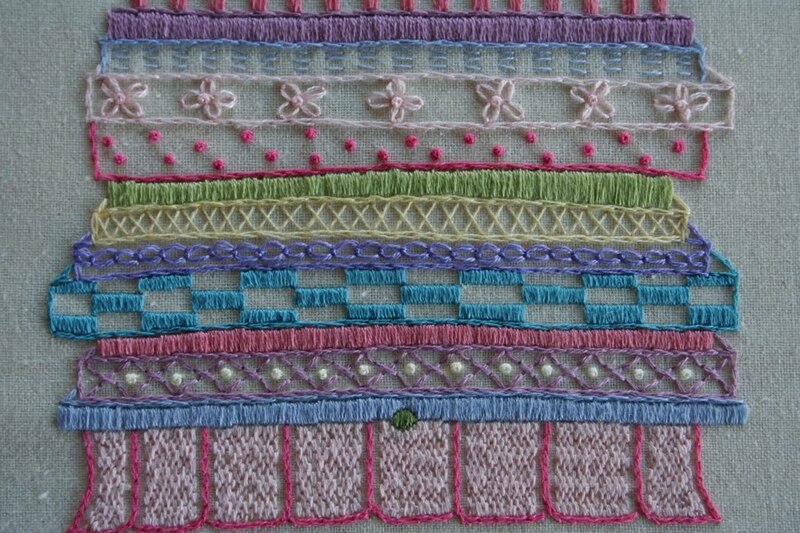 I discovered this embroidery through a sewing forum I belong to and fell in love. 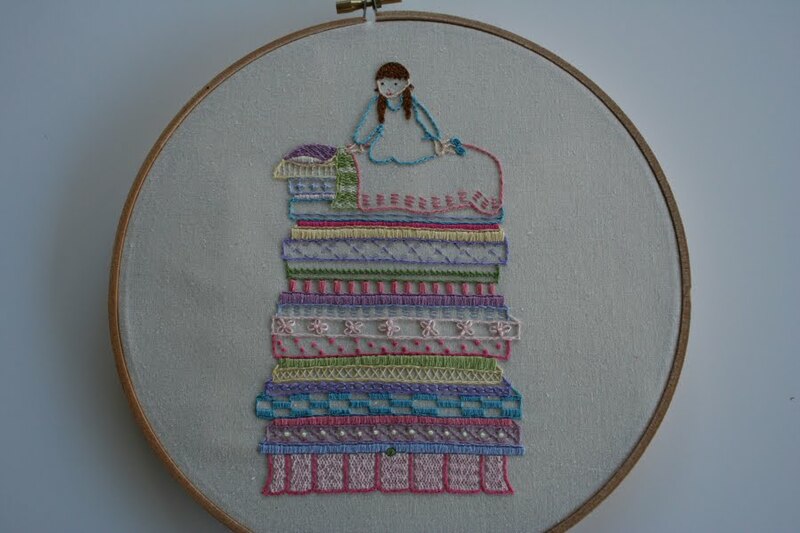 It's a pattern called the Princess and the Pea, designed by the very talented Nicole from Follow the White Bunny. 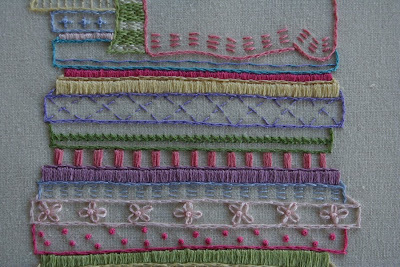 Despite not really ever having stitched before, this was really enjoyable and I quite looked forward to stitching away in front of the tv most nights. 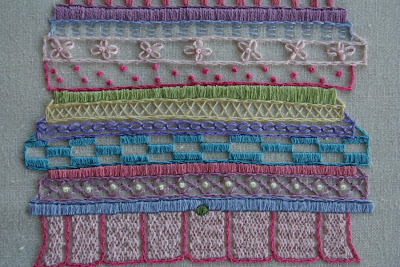 I only knew the basics, so had to learn split stitch, French knots, lazy daisy stitch and chain stitch from the internet. They weren't as intimidating as I thought! My wee three year old has taken a shine to it so it will hang in her 'new' bedroom, which is getting a big of an overhaul before the new baby comes along in a few months. The end product is far from perfect, but I like it, and I enjoyed making it. 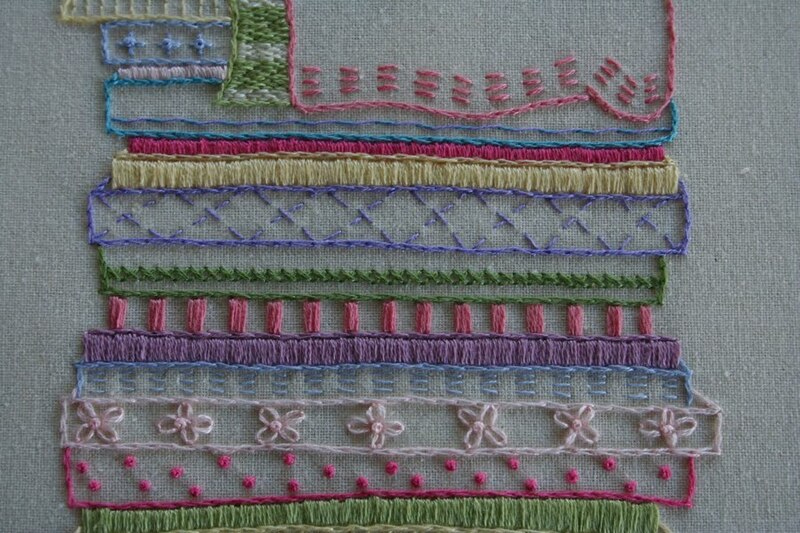 Maybe even enough to stitch a few more over the next few years. The finished product. Ignore the bumps, I shoved all the excess fabric under the hoop for the photos. The princess and her blankets. 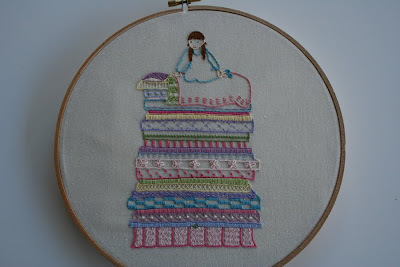 The bottom layers, including the bedskirt and the pea! This is beautiful Claire! 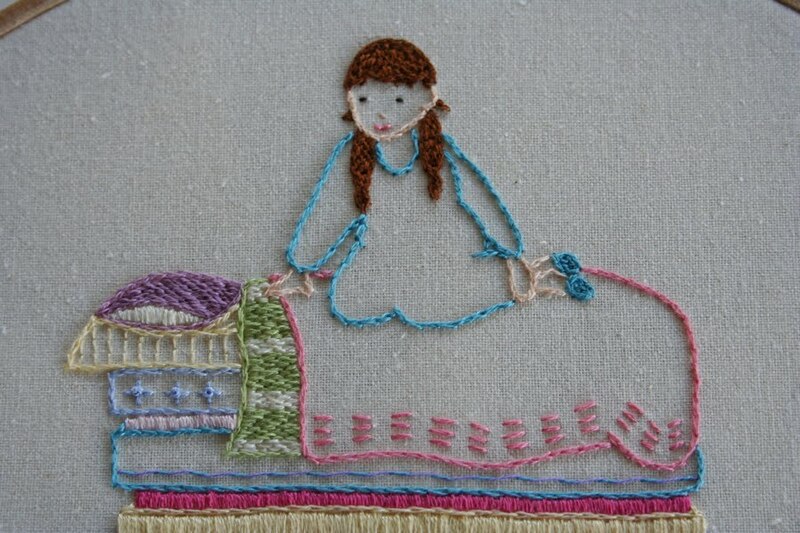 It's impossible to tell that this is your first time embroidering. It's a brave first project! You did a marvelous job! 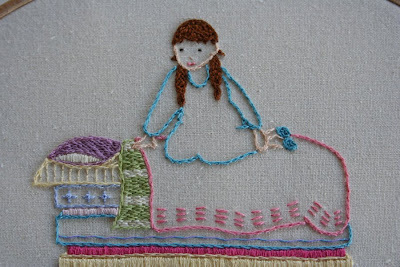 I never would have guessed this was your first embroidery!